The UK vote in favour of Brexit was heavily influenced by concerns, more often expressed in England than Northern Ireland or Scotland, that continuing as a member of the EU would mean that the flow of new arrivals from elsewhere in the EU might be potentially so large that specific policies to limit the number of immigrants would be needed. In preparation for the ending of free movement in the EU, as it has affected the UK, the Government has now received the advice of the Migration Advisory Committee (MAC). The key feature of the recommendations is that the UK should adopt policies to allow the number of people authorised to come in to live and seek work in the UK to be subject to different criteria. The proposed criteria lean in favour of encouraging immigrants who bring skills and qualifications that are needed in the UK. In addition, the criteria proposed include guidelines which favour people whose earnings potential is significantly above what might be described as low pay. The introduction of criteria which are essentially biased towards better qualified people with better earnings potential poses a major problem for industries and occupations where UK businesses have relied on less-skilled people, mainly from central and southern European countries. In particular, Northern Ireland has in recent years relied heavily on the arrival of migrant workers, often for more repetitive jobs either in agriculture and food processing or a range of occupations in some local manufacturing firms. 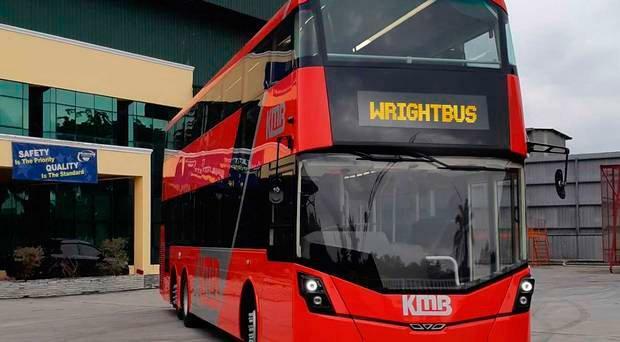 Wrightbus, for example, has recruited large numbers of Slovakian workers. Dungannon also has a long history of using Portuguese and eastern European employees. If the UK Government implements the proposals of the MAC, then, in addition to the negative impact of Brexit on existing migrant employees, whose continuing tenure has been made to seem less secure, the ability to sustain employment in a number of firms will be severely tested. The apprehension caused by the prospect of a serious change in the ability to retain immigrant employees was heavily emphasised by 20 local business organisations in a joint submission to the Prime Minister, sent in a letter dated October 10. Anticipation of possible labour shortages in critical sectors provokes questions about how Northern Ireland might make a constructive response. Control of migration is not a devolved subject. The local Assembly has very limited ability to respond directly. Employment regulation is a devolved topic but, if encouraging an inward flow of migrant workers is needed, whilst local legislative authority might be used to exclude people, there is no ability to encourage the arrival of new workers. Northern Ireland interests might be met by seeking to frame the UK legislation to allow the issue of work permits to be influenced by regional quotas which avoided the minimum earnings limit. After Brexit, a differential migration policy for specific regions or industries is possible but, on a UK-wide base, might not gain political support. Northern Ireland interests might have better results if, with possible co-operation from other areas, UK policy was changed to avoid the minimum income type criteria. In the post-Brexit situation, another influence on labour market behaviour may emerge as a consequence of the UK-Ireland common travel area (CTA). The rules on the CTA have yet to be defined, but the expectation is that people living in Ireland will have ready access to employment opportunities in the UK, and vice versa. That expectation will need to be clarified by carefully defining whether this option depends on a person's nationality, Irish or British, or whether the option might be open to legitimate residents, regardless of nationality. For Northern Ireland citizens, the CTA might open the way to freedom of movement across the EU, because of the rule that northerners are able to claim Irish nationality. The migration debate points to difficult questions for local businesses and individuals. At the end of its last trading year of 2017, AES Kilroot Power had two large electricity generating units with a capacity of 560mW, from burning either coal or oil, as well as 142mW of capacity from four open cycle gas turbines. The latest accounts were prepared with the knowledge that the large coal/oil units had failed to be awarded contracts to generate electricity as part of the new I-SEM system, which started on October 1. The accounts reflect both the results of commercial trading in 2017 as well as the financial consequences of the major proposed contract change. As this report was written, no firm decisions were publicly available on talks to alleviate the dramatic impact of I-SEM on the Kilroot plant. The critical feature of the most recent accounts is the inclusion of impairment charges, affecting the value of the plant, if the large generating units cease to supply electricity as expected in the I-SEM. Impairment charges of £118.6m are shown in the operating accounts, leading to an overall trading loss of £110.4m. These impairment charges are also material to the pre-tax profit, which becomes a loss of £92.0m. The Kilroot plant is a subsidiary of the American-owned parent company AES (NI). The long-term future of the Kilroot plant has been uncertain since the acceptance of agreed EU-wide rules to observe tighter emissions controls. However, the I-SEM, now introduced, has brought forward the possible earlier demise of the coal/oil units. Employment at Kilroot has been stable in recent years and averaged 121 people in 2017. The shareholding parent company has received no dividend payment in the past three years after a dividend of over £36m in 2014. As this review is written, there has been no confirmation from SONI or the regulator that, to reduce risk to electricity supplies in the near future, special contracts will be agreed with AES to better manage the generating capacity at Kilroot and Ballylumford. The company report for AES Kilroot Power is reprinted following errors in last week's table. We apologise for failing to indicate that operating profits and pre-tax profits in 2015 and 2017 were losses.